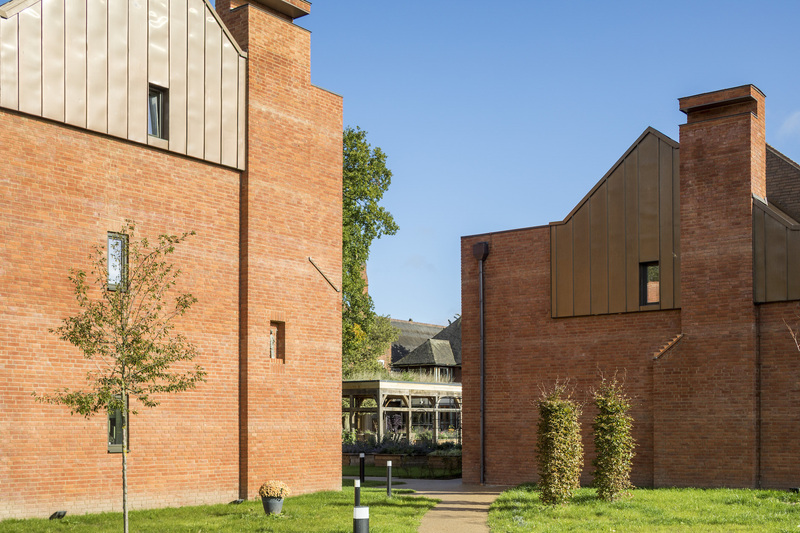 St John’s Almshouses is a new Passive House certified residential scheme. 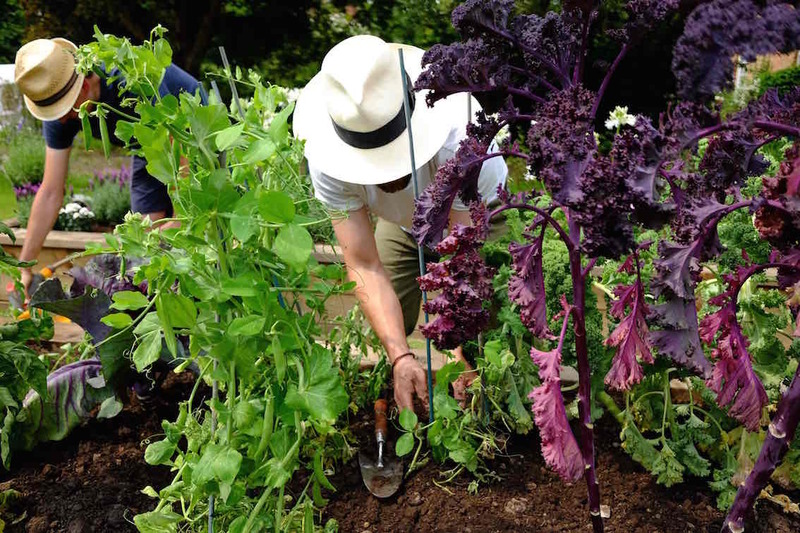 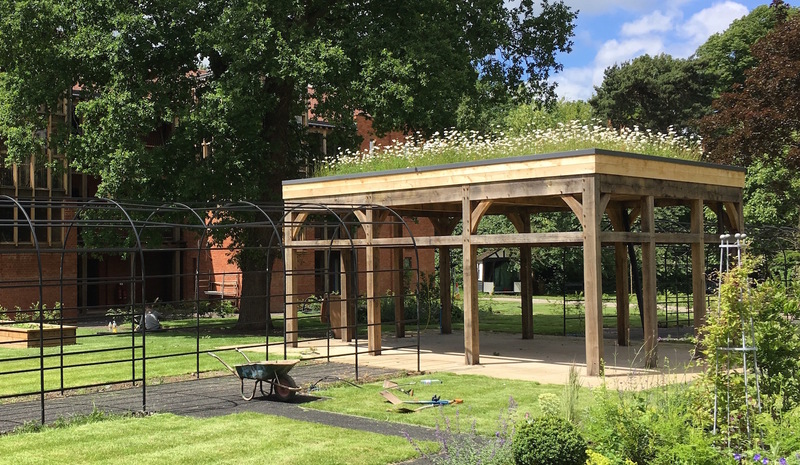 The client, St. John’s Hospital, are a charitable trust and historic almshouses organisation with presence on the site since 1129 and existing Grade I listed buildings dating from 1495. 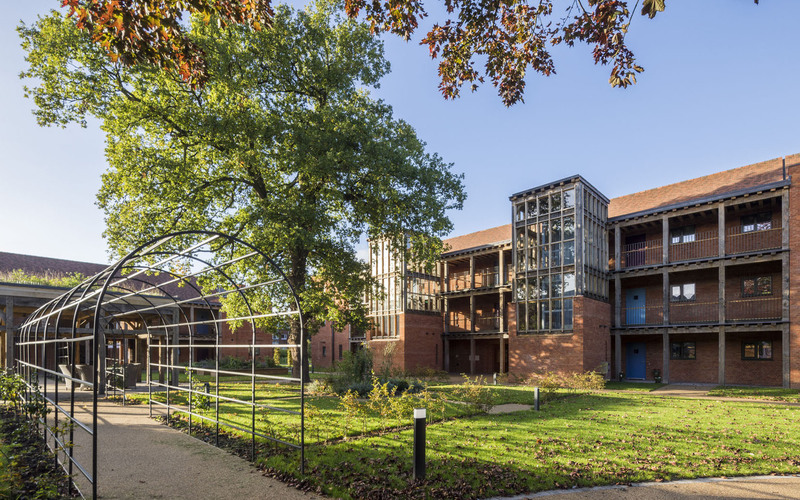 The new development comprises 18 new flats contained within two separate buildings, which are arranged around a new landscaped courtyard. 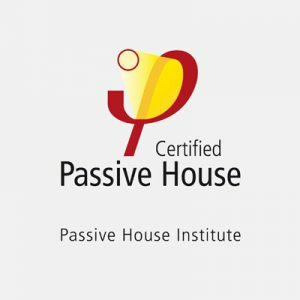 Passive House informed the design of the buildings from the outset, resulting in simple orthogonal volumes in order to minimise heat losses. 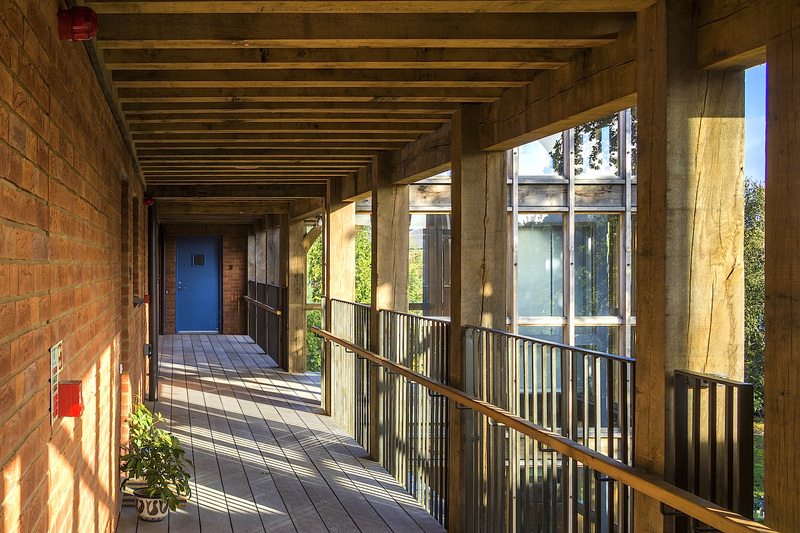 These have then been articulated by the external balconies, stairs and entrance walkways. 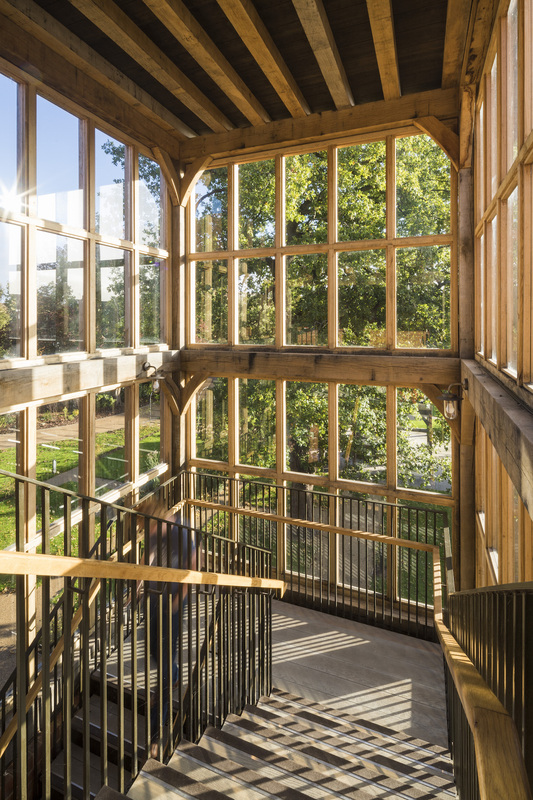 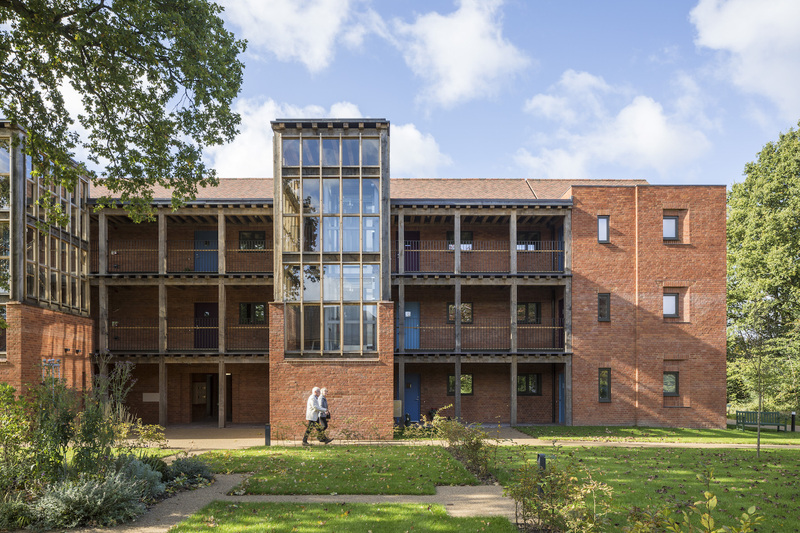 The courtyard forms a new social hub for the residents and is divided into relaxing and working areas arranged around a central timber framed pavilion.